Bridalfeel, one of leading suppliers of formal dresses nz: wedding dresses,bridesmaid dresses,ball prom dresses,cocktail dresses,flower girl dresses. We keep abreast with the latest trends in bridal fashion, offering fashionable dresses of good quality at the most reasonable price for every unique bride in the world. Bridalfeel.co.nz provides hundreds of delicate products for global buyers. Our buyers are from the New Zealand, Australia, US, the EU, Asia countries,totaling over 230 countries worldwide. We also boast over thousands product listings from our factorys. 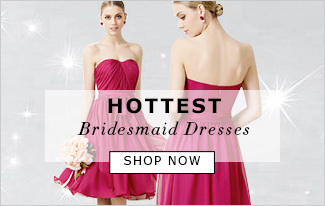 On Bridalfeel, international buyers can purchase a wide range of products at very low prices. In addition, our customer can also enjoy the custom made items, which may be more suitable to you. Beautiful Long Pink Chiffon One Shoulder Handmade Flowers Evening Dress ..
One Shoulder Knee Length Chiffon Bridesmaid Dress/Party Dress .. Simple Floor Length Chiffon Zipper Back Column Strapless Bridesmaid Dress .. Simple Knee Length Pink Chiffon Bridesmaid Dress/Party Dress ..